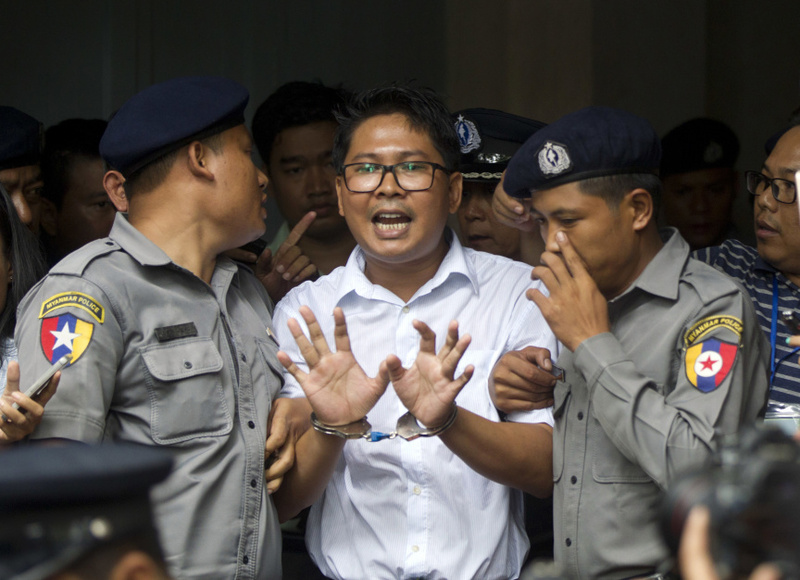 YANGON, Myanmar (AP) — A Myanmar court sentenced two Reuters journalists to seven years in prison Monday for illegal possession of official documents, a ruling that comes as international criticism mounts over the military's alleged human rights abuses against Rohingya Muslims. UN Resident and Humanitarian Coordinator in Myanmar Knut Ostby said the UN was "disappointed by today's court decision." "The United Nations has consistently called for the release of the Reuters journalists and urged the authorities to respect their right to pursue freedom of expression and information," he said. "Wa Lone and Kyaw Soe Oo should be allowed to return to their families and continue their work as journalists." In the latest U.S. expression of concern, Washington's envoy to the United Nations, Nikki Haley, said the Trump administration expected to see the two journalists acquitted of all charges.